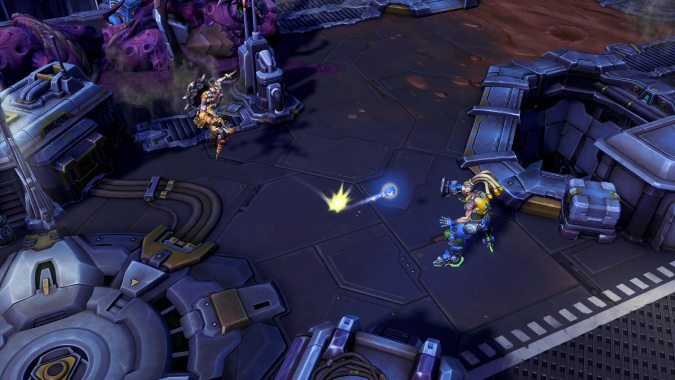 The Heroes of the Storm art and design team went on Reddit yesterday to answer your blazing questions. There were questions on hot button issues covering everything from fan creations to future plans on crossovers. The question that seemed to get people the most fired up though: Why hasn’t Ragnaros gotten any skins yet? I know I’m not the only one who carries a torch for him, so what’s the deal? The burning heart of the problem is that Ragnaros is such a dynamic hero — he’s one big pile of complicated FX. Hi! We definitely have some interest on the team for getting a new skin for Rag! His color scheme has always been tricky for us because if we change one part of it, we have to change all of it, and he’s a very FX-heavy hero. However, we are looking into some ways we can give him the skin he deserves. We want to make sure when we do it, we do it right due to the time investment it will take. Ok, I’ll cool off from all the Ragnaros talk. There are other heroes in the game with other skins. What are the chances of getting more fan-created skins for other characters? First, there needs to be a general consensus of which fan skin should get put in. 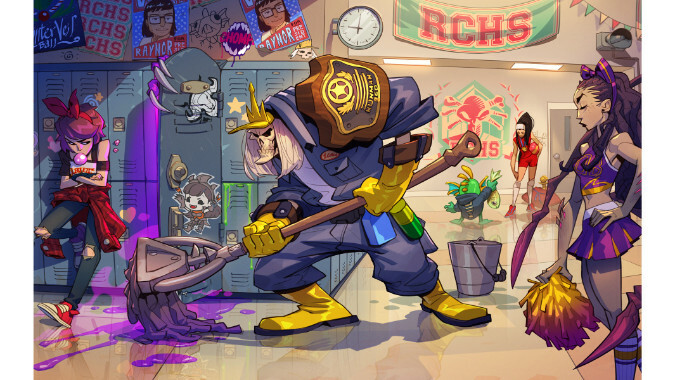 Azmodunk and Janitor Leoric were both very requested additions for a long time. When you can put together galleries of fan creations as large as this one, it’s going to be tough to narrow it down to just one. I personally would love to see Abracadabrathur make it in game, Zerg Brightwing is another really good choice, and could you really go wrong with Illidari Demon Hunter Valla — complete with Hand-Crossbows of Azzinoth? On the mount side of things there’s only one choice. Oscar Vega drew a mount named Geraldo, and he simply must be added to the game. Hmm, not that I can think of! I think our approach when it comes to skins is, if it’s awesome and the team is excited about it, more about how we can make it happen. We have tons of concepts that haven’t been made yet but we don’t really ever truly discard any, we just save them for the right time. I do however have Geraldo who is my mount that I made on a day where I was having really bad art block. I love him, but he is awful. On the more technical side of things, Senior Animator Lana Bachnyski gave us a great insight into why it can be tough to animate in isometric space. Having the forced perspective means that when you need to animate heroes vertical changes it can be hard to tell that anything is really happening unless it’s very highlighted. Little touches like this add up and help make Heroes look and feel as amazing as it does. One of the things that’s most challenging as an animator in isometric space is getting a real feeling of depth. Typically anything that needs to pop up in space needs to be wayyyyy over exaggerated because otherwise we can barely see that it’s moving. Probably the easiest example I have of how I adjust is through some of the Overwatch hero animations I’ve done. Overwatch does an incredible job of exaggerating motion, and they do a ton of beautiful smear frames and stuff to accomplish their zipping jumps and things for all their characters — There’s a great example with Tracer’s torso getting stretched out during her jump anim, somewhere. Matt Boehm’s or Dave Gibsons GDC talk, I think? — But I would have to stretch characters like that 20ft, tall to accomplish a similar feeling in Heroes. When recreating anims with a lot of Y-translation, I pull some of that motion into the Z-axis, so the characters have more motion that is readable from gamecam. i.e. Junkrat’s janky walk doesn’t read because he’s taking a taller step and a shorter step, but he jolts forward more to accomplish the limp. She also gave a great example of just what the difference is between animators and fx artists, using the Orphea skill Eternal Feast. Seeing it come out in the game will, rightly, cause teams to scatter. It’s scary! If Thomas Horwath hadn’t worked his magic I don’t think the monster would be going very hungry at all. I pulled literally every mega-extra animator move I possibly could and no matter what it still looked like a tube sock. Eventually, I threw my hands up and said ‘THIS IS AS COOL AS ANIMATION’S GONNA GET IT’ and we let FX take their pass at it. Let me tell you: Thank god for Thomas Horwath (Orphea’s FX artist. He’s on vacation or he’d be here, too). Once his FX started coming online, it started feeling like the badass monster it needed to be. Before and after .gif here! I’m sure that this is a question they’ve been asked a million times before, and will be asked a million times more. 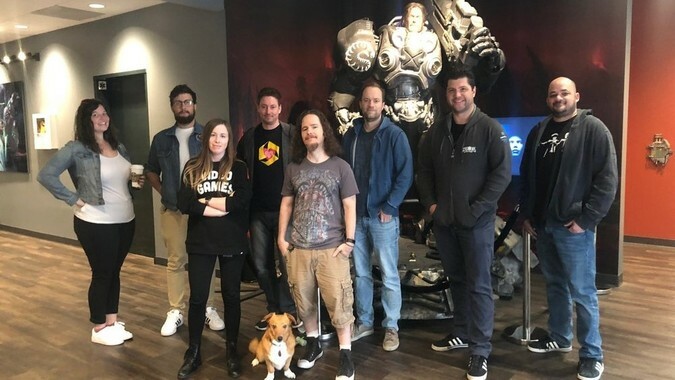 What’s amazing to me is the very different paths that all of the different artists took to get their positions at Blizzard. The passion and effort that goes into the work they are doing is quite inspiring. Johnny Waterman weighed in with a whole pile of links and sites to help artists with everything from tutorials and hosting, but most importantly these five words to live by. Don’t be afraid to fail. I’ll let /u/Blizz_Vega answer for himself because we have VERY different stories, but I’m pretty vanilla all things considered! I did have the good fortune of going to art school from 7-12th grade in Edmonton, AB, Canada (go, Vic!). I scoffed at it at the time, but the art education was, in hindsight, VERY robust. I was introduced to animation there using a program called Cinema4D. Then, I went to university in San Francisco (AAU), and studied art fundamentals (figure drawing/sculpting) and animation in Maya. When I got my internship (at blizz in 2012), I learned 3dsMax. I practice every day all day, and ~once a year sit down and practice my long-form charcoal rendering skillz. Advice for artists — two things: Get involved with your community! Being immersed in art of different styles and voices will only make you better! Second: Feedback early and feedback often. There is no right way to get into art/games so don’t use this as a template! Passion, dedication and practice, babyyyy! as Lana said, there’s no right way to get into, not only games, but art! There’s only your way and each journey will always be a little different. Dedication and practice are key, but for me don’t ever forget to have fun with your art! I’ve been drawing for 15 years and everyday I find new ways to get lost in the craft its great! art is cool! do art!! I think it’s fair to say that everyone who works on Heroes loves what they do. None more so than the art and design teams. They bring the worlds and characters to life in the Nexus, and I love getting a peek behind the scenes at how this all comes about. There’s also a mysterious surprise they’re cooking up for one of the maps, and I can’t wait to find out what that is.